Thinking of selling your car as scrap? Cars don't last forever, and if you find that yours has developed an expensive mechanical fault and is no longer roadworthy, you may decide to sell your old car for spares or scrap. If so, you'll want to make sure that you get the best price for it. How do I scrap my car for the best price? CarTakeBack's free, online quote service saves you the time and hassle of phoning around, trying to get prices for your scrap car. We'll instantly show you the best scrap car prices in your area for your specific car to be recycled. It's quick and easy - all you have to do is enter your registration number and postcode. Not only will we tell you what your scrap car is worth, when you choose CarTakeBack you can arrange to have your car collected at a time to suit you. Your scrap car can be collected from anywhere, your home, work, a garage. Find out more about having your car collected. With CarTakeBack branches across the UK, you're never far away from one. So if you'd rather drop your car off, you can. No need to make an appointment, just turn up during our opening hours with your reference number to confirm your quote. Find out more about dropping your car off at your local scrap car recycling centre. When I scrap my car is it recycled? When you sell your scrap car with CarTakeBack you can relax knowing that your old car will be recycled to the highest standard at an authorised scrap car recycling centre. Find out more about having your scrap car recycled. We'll make sure that all of the DVLA paperwork is taken care of for you. And when your scrap car is recycled you'll be sent a DVLA Certificate of Destruction as proof that your car is no longer on the road. Find out more about the official DVLA paperwork. Over the years we've helped hundreds of thousands of car owners like you to avoid the pitfalls when it comes to selling their car as scrap. Our customer services team is on hand throughout the entire process to help you with any questions about scrapping your car. Whether it's getting the best price in the first place, choosing whether to arrange scrap car collection or drop your car off, finding your way to your local CarTakeBack branch, or making sure you get the DVLA paperwork spot on, to avoid a fine. 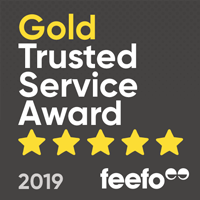 "I was nervous about scrapping my car this way as I had never done it before, but from start to finish I found the whole experience easy and anyone I spoke to or dealt with by email was very helpful and did everything so fast and it was so easy. So thank you all very much indeed!"